BACK IN STOCK !!! 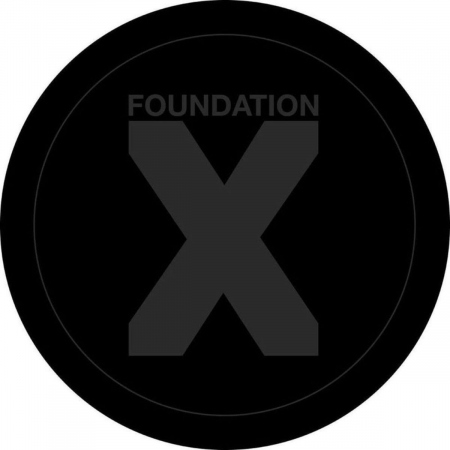 - Straight after his reworking of Skitty's 'Hornsman' on FDX008, X Nation returns with his first full EP for the label. Three cuts of present day jungle, simultaneously classic in style but also avant-garde in approach. Perfect for the FDX Black imprint! Infinite Waters - A long dubbed out intro of cold horn riffs leads up to a unique weighty amen drop that will have people slapping walls and bawling for rewinds like it was 19949 Digit Roots - Taking influence from 80s digital dub, this exploration of dancehall vibes and jungle breakbeats takes many twists and turns mangling audio soundboy style Kiss Me Neck - A vocal intro that should bring waves of nostalgia to any seasoned junglist soon gives way to some showcase X Nation breakbeat edits and sublime sub bass.